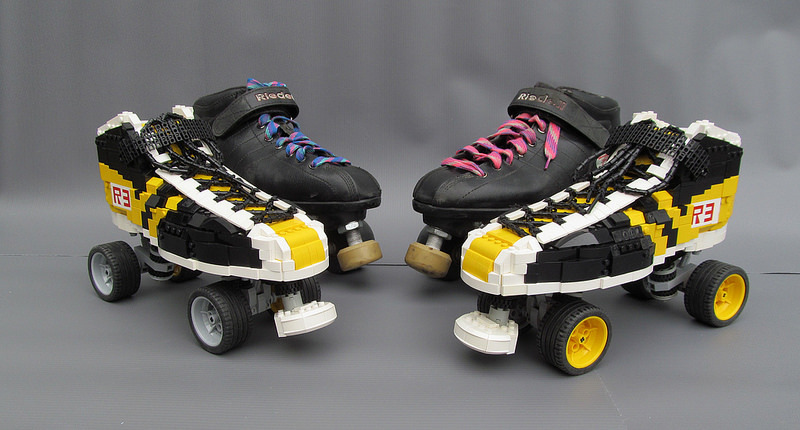 These awesome brick-built roller skates by Julie VanderMeulen look sturdy enough to take a spin around the local roller rink. Seriously, at first glance I thought I was looking at two pairs of real skates! The lifelike toe stops, shoelaces (with aglets! ), axles, and the accurately-sized wheels really sell this build. The stylish black and yellow color blocking and the R3 lettering on the heel isn’t bad either. You can check out more photos on Flickr.